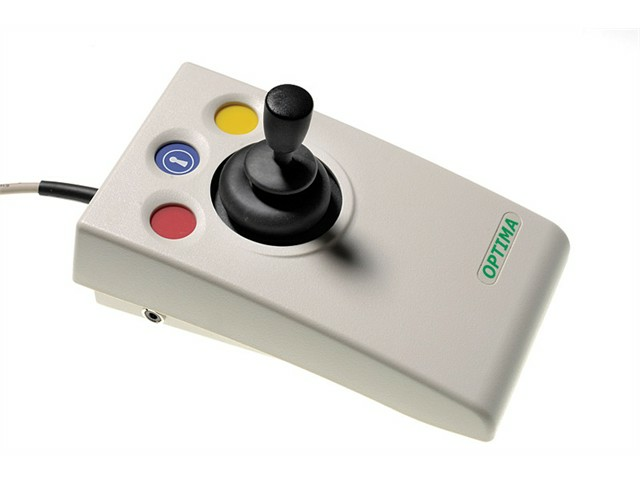 The OPTIMA Joystick is a compact, desktop joystick that does not require fine motor skills and is suitable for a wide spectrum of computer users. The Optima Joystick also features a low profile providing a natural hand rest for comfortable operation, and will work with PS2 and USB compatible computers. Robust Construction and Ergonomic Design. Four Cursor speed settings (With Audible Alert). Sockets to operate Left/Right click buttons from remote switches.